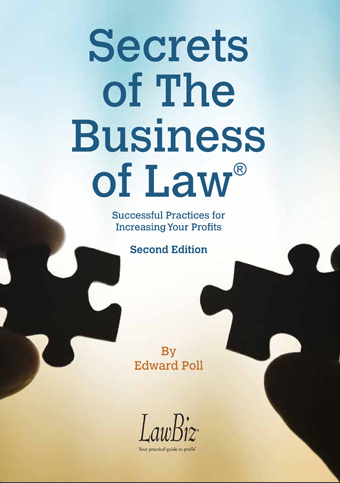 Law firms today are moving toward operating in a more businesslike fashion, rather than just as a group of professionals and those that are truly businesslike will recognize that a key to responsible management is establishing a strong banking relationship. 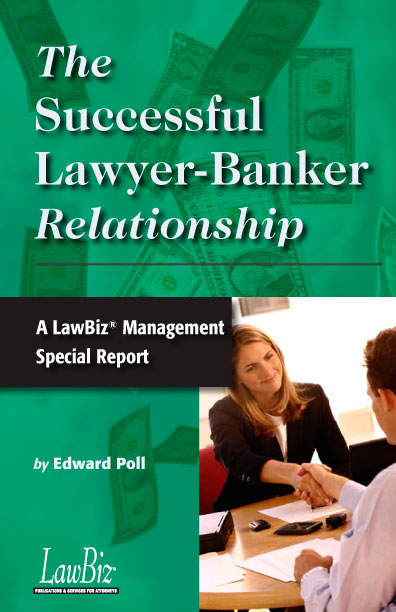 Importantly, banks are looking for profitable new niches so law firms and banks are natural allies in today's competitive world. When you have the right relationship, a good banker will be creative in helping you become aware of opportunities to grow your business in ways you didn't know existed. 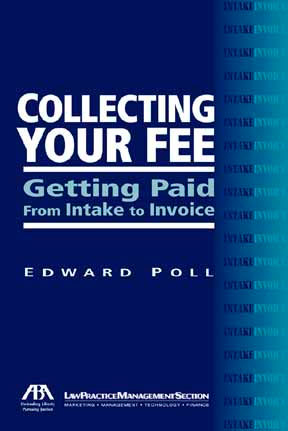 The practical steps that Ed Poll provides in this little volume cover everything from how to choose a bank that's right for you, to how to improve your credit score and how to negotiate the best commercial loan to meet your needs. 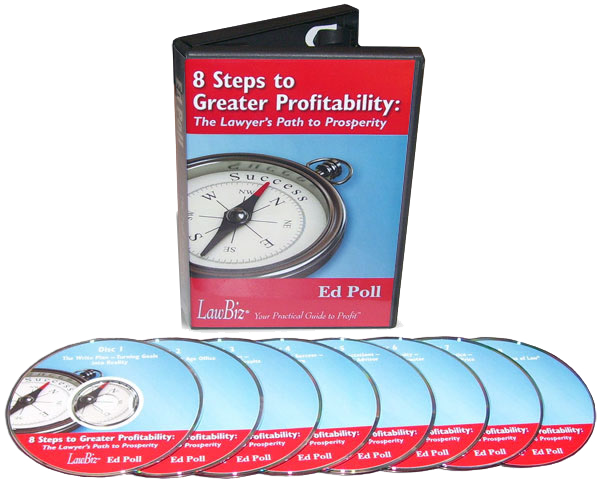 From crafting a business plan to selling your practice for maximum value, Ed will lead you from start to finish through the eight most crucial steps to law firm success.